This war time thriller ANTHROPOID is based on the extraordinary true story of “Operation Anthropoid,” (carried out on 27th May 1942) in which the Czechoslovakian operatives sought to assassinate Nazi SS (Schutzstaffel i.e. Protection Squadron) Officer Reinhard Heydrich. From the historical point of view the film follows the people involved and their attempt to kill one of the top most commanders of Hitler. In fact, Heydrich – the chief architect behind the Final Solution (Holocaust), was the Reich’s third in command behind Hitler and Himmler, and the leader of Nazi forces in Czechoslovakia. 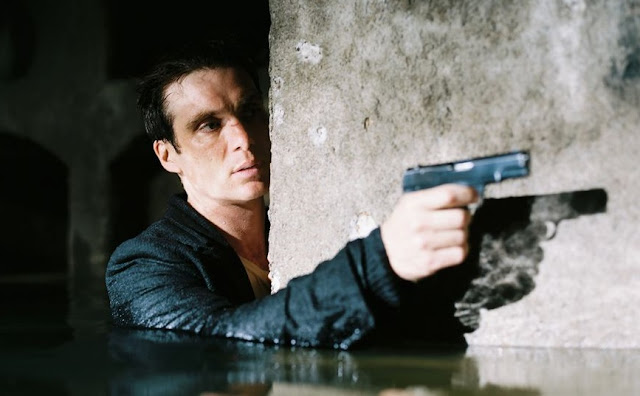 ANTHROPOID takes you back to reimagine that era but it only highlights the very operation that was planned by the Czechoslovakian government-in-exile in London. The film has very successfully built up the tense atmosphere in which two of the brave solders of Czechoslovakian army-in-exile, Josef Gabcik (Cillian Murphy) and Jan Kubis (Jamie Dornan) are parachuted into their occupied homeland in December 1941 to carry out the operation. With limited intelligence and little equipment in a city under lock down, they must find a way to assassinate Heydrich, an operation that would change the face of Europe forever. The mission was to kill Reinhard “The Hangman” Heydrich, the Butcher of Prague. On their way to execute the ultimate job, they made connection with a group of underground resistance leaders and freedom fighters who at first were also reluctant to extend their help, considering the devastating possibilities if the mission fails or so. Nevertheless, the struggle for freedom and the guts of the fighters in mission find its way to finally make the attempt to assassinate the Nazi man in question. Director Sean Ellis who also co-wrote the screenplay has an eye for details to portray the then occupied city with streets filled with sense of terror, and at the same time extracting performances from its lead characters that is praiseworthy. At one time, the director builds subplots with some romantic angle, but then those only to humanize different characters with their sense of life, fear and freedom. After Britain recognized the Czecho-Slovak government in exile in London in June 1941, the British Special Operations Executive planned a Czechoslovakian-led mission to Prague in order to kill a top Nazi commander, SS Officer Reinhard Heydrich – the man behind the Final Solution and the head of Czechoslovakia, then known as the Protectorate of Bohemia and Moravia. The mission was named “Operation Anthropoid”. The primary motive of the operation was to kill Heydrich – in order to send a strong message on the Czech resistance over German occupation and at the same time infuse some inspiration in the minds of the people of Czech. They were also under pressure from British intelligence as Czech lands were producing huge number of military equipment for Nazi Germany (Third Reich). In order to carry out the operation, soldiers from Czechoslovakian army-in-exile were first trained by British intelligence and then parachuted to Prague in different groups. While Warrant Officer Jozef Gabcik (Slovak) and Staff Sergeant Karel Svoboda (Czech) were chosen to carry out “Operation Anthropoid”, two other groups named Silver A and Silver B had other goals. Svoboda was later replaced with Jan Kubis (Czech) after a head injury during training. Gabcik and Kubis, after arriving at Prague, contacted their allies and tried to explore the ways to attack Heydrich. They had different options but they finally decided to hit him on his way from home to Prague Castle. The attack was partially successful when Gabcik’s STEN machine gun did not work and Kubis tossed a modified anti-tank grenade at the vehicle that eventually damaged Heydrich’s black Mercedes 320 C convertible and also injured him to certain extent. Soon after attacking, Kubis and Gabcik left the scene as Heydrich’s driver pursued them, while a passing truck took the injured Heydrich to nearby Bulovka Hospital. Although initially, it was believed that Heydrich had some minor injury, on June 4thhe died of septic – which the doctor explained as some kind of blood poisoning because the wound infected by a number of horsehair and hair, probably materials originating from the upholstery of the damaged vehicle. Anyone wants to have a detailed understanding of the whole history behind the Operation Anthropoid, please click here. This document gives a more elaborate account of the conflict between the then Czechoslovak Republic and Adolf Hitler’s Germany.